Hello everyone! I’m here with this week’s Tor.com Thursday post and mini review. What a beautiful piece of fiction we read this week! Just to let you all know, I am stopping this meme next week as I’m making a few changes to my blog schedule! I’m going into a new job with longer hours so realised I needed to make some more time for myself and not have to panic to make posts. Read a full post about my decision here. This was an enjoyable little story about objectivity and justice. 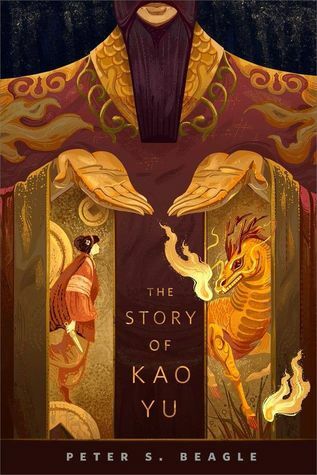 Kao Yu is an aging and wise judge but when he gets called upon for a case regarding a shockingly beautiful pick-pocket, he faces some issues he’s never had to deal with before. I’ve never read a Beagle story before but after reading this, I’m interested to read some of his other work. This was superbly written, with a beautiful and haunting undertone throughout. This is the last story for my Tor.com meme, and it’s a comic! Suggested to me by Mel @The Book Moo! Next postHow do you update your reading progress?